Hi friends! 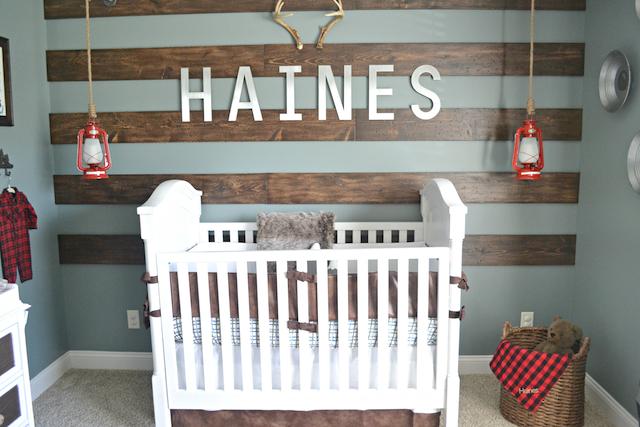 Are you like me and have a soft spot for adorable homemade gifts? Today I am excited to share a gift that I created for McKenzie to give to her classmates this Valentine's Day. I wish I could say that I came up with this idea on my own, however, I have to give credit where credit is due. 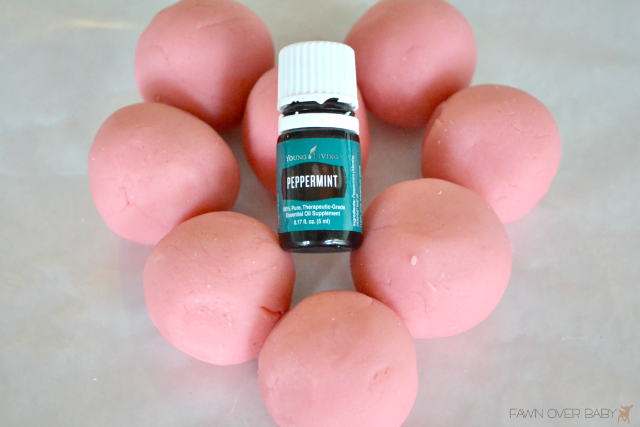 Fellow Mommy Blogger, Chelsea from Buggy and Buddy posted this adorable and easy homemade v-day gift and it was exactly what I was looking for. Something that didn't involve candy yet still held the same level of excitement. 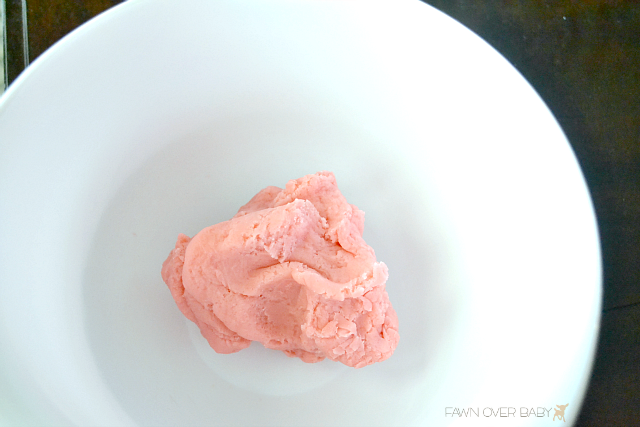 Here is how we made our own homemade play-doh and turned them into the sweetest little valentine's that every kiddo will enjoy! 3. Knead your dough, then divide into your preferred amount of balls. 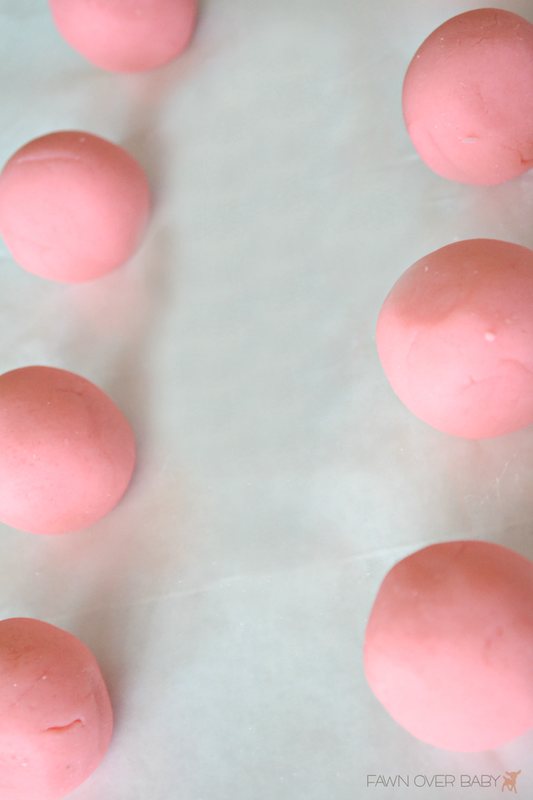 This recipe produced 8 balls. 4. 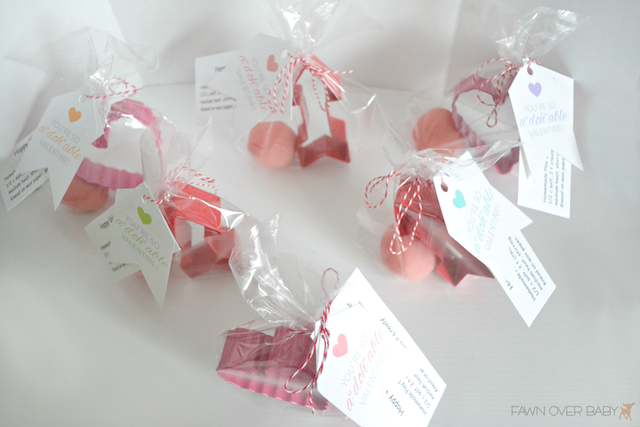 Store in an air tight container (in fridge for longer lasting) until Valentine's Day! Valentine Inspired Cookie Cutter(s) - I found mine at Walmart in the clearance baking aisle. 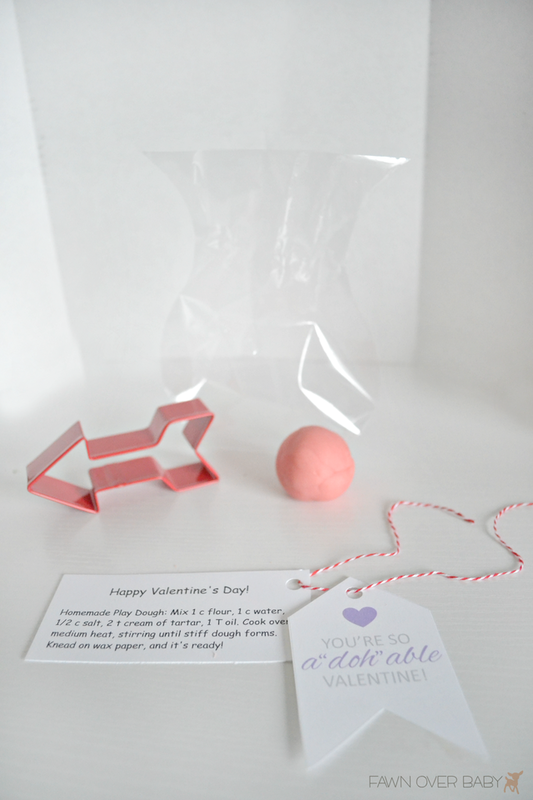 Valentine Tag Label - Free Printable can be found at Skip To My Lou. 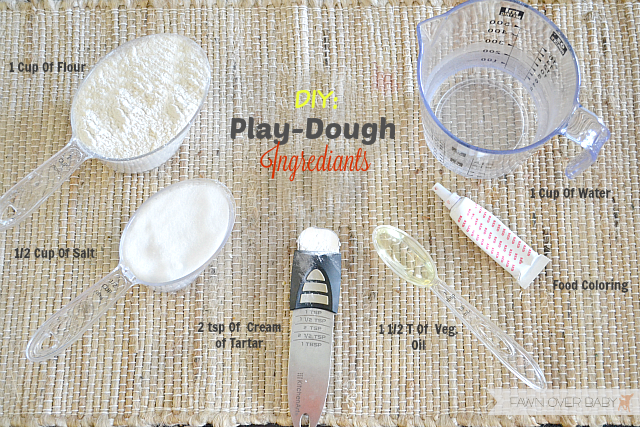 Homemade Play-doh Recipe Tag - Free Printable can be found here at Buggy and Buddy. 5. 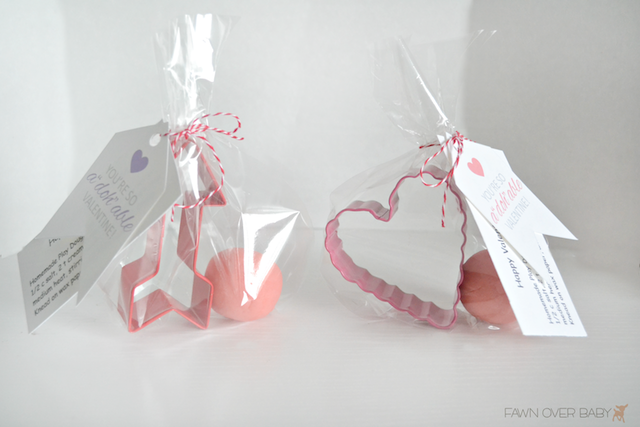 Wrap Your Goodies and Your Little Gift Giver will be Valentine's Day Ready! If you have heard of Essential Oils and Would Like to Know More About Them, Feel Free to Contact Me for a Quick Young Living Essential Oils 101. I would love to Help You Get Started! 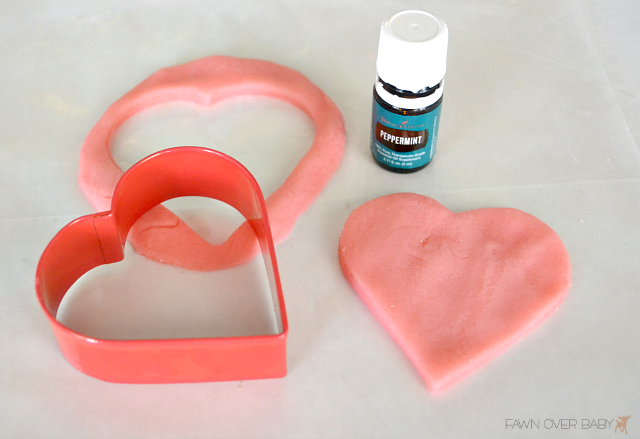 I hope you enjoyed this sweet little Valentine's Day DIY! 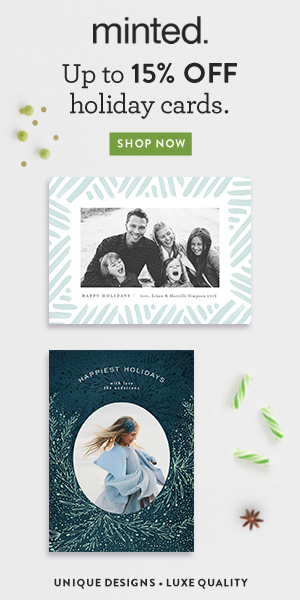 Feel free to leave your creative gifting ideas in comments in below!